Pakistan will be holding its 11th general election today, with 105.95 million voters expected to cast their ballots within their respective constituencies. The three big battles will be between Pakistan Muslim League-Nawaz (PML-N), Pakistan Peoples Party (PPP) and Pakistan Tehreek-i-Insaf (PTI). Voting will begin at 8am and run uninterrupted till 6pm. 371,388 army personnel are deployed across 85,000 polling stations to ensure no untoward incident occurs. The last 48 ours have seen the major news channels in Pakistan preparing for the greatest transmission on earth. Similar to the American broadcasters election night has now become one of the most competitive and contested TV segments in the countries history. Pakistani politics has entered the entertainment and drama phase. The channels have developed their sets into extravagant and lavish settings, generally, as with most third world countries the more bling equates to more credibility. At any one time there are in excess of 8 individuals sitting live and providing commentary. And what’s more, every personality feels the need to talk and give his/her criticism and conjecture. The channels have developed an almost gang-like following, individuals and groups associated or aligned with a certain party will be more prominent on one channel that others. And the audience is equally as diverse and at times frustrated that they don’t get a clear perspective. This years election will be the most contested and closes for years. Following the controversial removal of Nawaz Shareef, the former Prime Minister and a host of allegations against most of the leaders, it looks likely to go down to the wire. A major heavyweight battle is to be contested in the capital as a 136 candidates are standing for the election and fighting for the three national assembly seats. The closest contested seat and the political showdown will take place in the urban area of Islamabad in the NA-53 district. 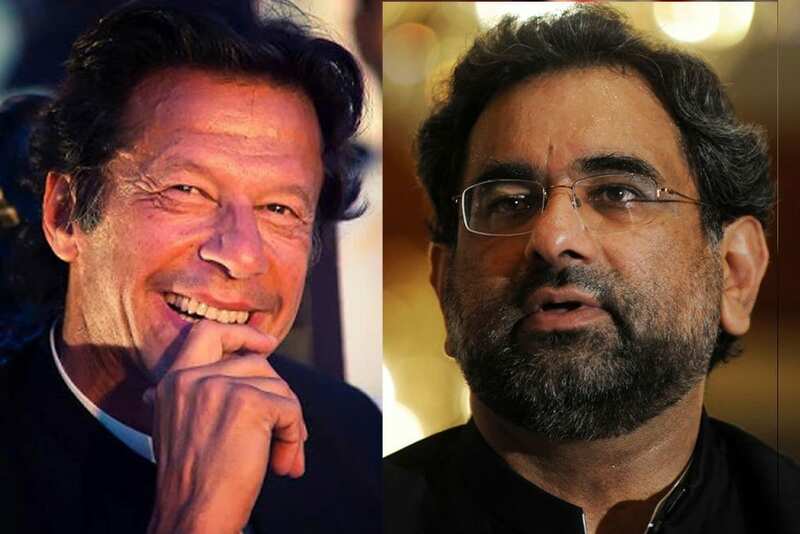 Which will witness Shahid Khaqan Abbasi going up against Imran Khan. In an unprecedented battle which will indicate how the voting will go in Punjab, the most influential of regions. In Pakistani Politics, which ever party controls Punjab is usually the one that is elected. The drama is unfolding as both parties are working the campaign trail;feeding the poor and gathering huge crowds as one of the greatest conflicts between rival adversaries Pakistan Muslim League-Nawaz (PML-N) and Pakistan Tehreek-e-Insaf (PTI). Indeed, this election is between these two parties, the evolution of PTI, credited to Imran khan is one of the most unusual in world politics, very rarely, do outsiders get their opportunity. The other party, Pakistan Peoples Party, head by Bilwal Bhuto seems to strategically placed as one that will form a coalition government with one of the other two main players. the fortunes of PPP, as major political rival have ended with the sudden death of the late Benazir Bhuto, who was shot in the head during a campaign rally. Between all the drama and entertainment, Pakistani election day has an almost carnival atmosphere, celebrities are encouraging people to vote and parties doing some last minute campaigning. That boils down to around Rs200 (£1.58) per voter, compared to a quarter of that in 2013. This is to ensure safety as well election fraud is prevented. An allegation that generally surfaces after each election. An advert for democracy in action in a third world country, it may not be perfect, but at least its functional.